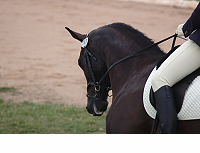 Lorna Anderson, British Dressage (BD) Group 4 rider/producer, offers flatwork coaching and Test Riding clinics, in addition to producing her own and clients’ dressage horses. A management consultant and communications trainer in her previous career, she believes in working in partnership with her pupils to identify goals, and strategies for achieving them. 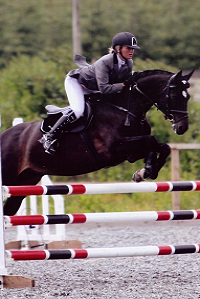 Sue Baxter, BD List 2 Judge and FEI 4* Judge, is a regular trainer at Hogholm. Her judge’s eye is invaluable in increasing for precious dressage percentages, and her support in producing young horses correctly is vital. Sue is a strong believer in using the Scales of Training to ensure that horses are trained correctly from baby stages to Grand Prix. 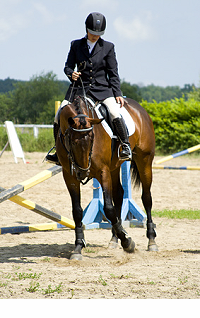 Clients are welcome to use any qualified and insured trainer, and a number of local flatwork, show-jumping and eventing trainers regularly teach at Hogholm. The Saddlery Team specialises in WOW and SemiFlex saddles, holding a 5-day Saddlery Clinic every three months at which all makes of saddles are checked and refitted. The yard’s owner, Lorna Anderson, is the WOW and SemiFlex Accredited Retailer/Fitter for the North and North East of Scotland.